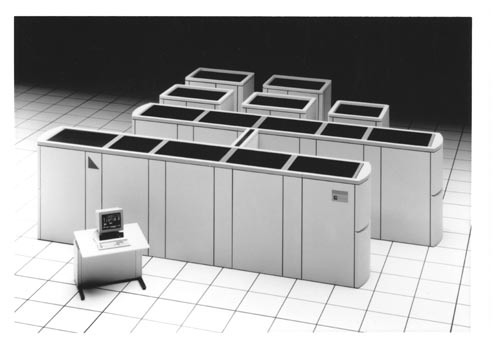 Verso paper label: " Pictured is Hitachi Data Systems HDS EX(tm) 620 mainframe computer system. The EX 520 is a 6-way multiprocessor and is used in a wide variety of general purpose applications by business and governments. The EX 620 will be available in the second quarter of 1992."